GMB general secretary Tim Roache has put gig companies on notice to improve working conditions after his union’s ground-breaking recognition deal with Hermes. The union yesterday signed a deal to ensure Hermes’ self-employed couriers have the option to take holiday pay and have guaranteed earnings. Writing on the GMB website, Tim Roache said: “I’ve said it before and I’ll say it again – the profits of companies in the ‘gig econony’ are made on the back of their workers. Too many jobs in our society are paid too little but those in the gig economy often experience increased insecurity, lower pay, long hours with tough (in some cases unrealistic) targets, for all of that, many end up paid below the minimum wage. “For years now, GMB has been calling out those companies who try wriggle out of their most basic responsibilities to their workers. Our case against Uber made international headlines when that poster child for the gig economy was told that their business model was not legal in the UK. “I’m proud to announce a groundbreaking deal that companies across the gig economy should sit up and take notice of. 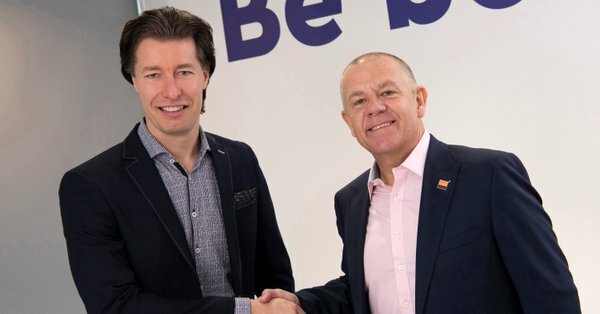 We’re launching a landmark agreement between Hermes, the leading consumer delivery company, and GMB union. “This is the first collective bargaining agreement of its type, it will give enhaced rights and a real voice at work to self-employed workers in Hermes. “From today onwards couriers have the option to become ‘self-employed plus’. This will allow workers to retain the flexibility of self-employment (which many of our courier members want) while also giving them the certainty of guaranteed levels of earning, holiday pay and a a recognised union in their workplace. “This is a win for Hermes workers, and for the company itself. Hermes is showing that as the world of work has changed, employers can change with it for everyone’s benefit. “Our fight in GMB has never been against new technology or industry. We’ve been around for 130 years, the working world has changed a lot in that time and we’re still here, we’re still growing. As a truly modern union we understand that shoppers want convenience and to have the world at their fingertips, but that doesn’t have to come at the expense of some very hard working people who are doing their best to get on in life.